Oscarsborg Hotel & Spa has a superb restaurant in the most exquisite environment you can think of. The enormous fortress is built around 15o years ago, but the island had military facilities from around 1650. So here you are on historic ground. 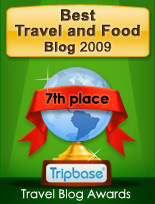 The large fortress itself has been renovated and the hotel offered the greatest dinner. 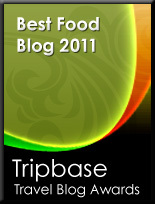 I took some snapshots, and I do recollect most of the menu at Oscarsborg, but not enough to give the restaurant a rating. 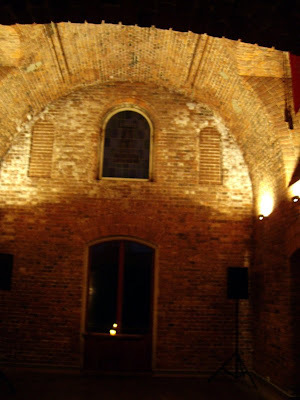 We arrived in the large fortress building and even in late September the old building was packed with people. I do not know whether they stayed at the hotel or were just visiting from the nearby city of Drøbak. But people had a great time, and we were very satisfied as we ended our meal. 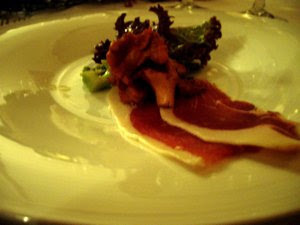 The first part of the meal was delicious cured Italian ham served with mushrooms, romanesco broccoli and a crisp salad. The lightly salted ham, the romanesco broccoli boiled al dente, the sweet balsamic vinegar on the salad. A great starter full of contrasts. 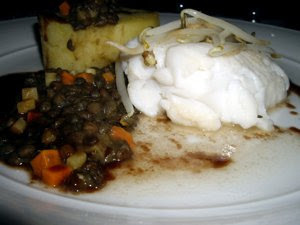 Main course delicious steamed halibut served with a stew with lentils, diced carrots, and onions and a potato cake. A great combination of gently steamed fish and a aromatic stew complementing each other. 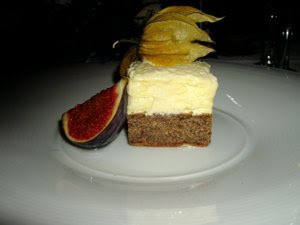 A delicious fruit mousse on a sponge, garnished with a physalis and a fresh fig. A perfect end to a great meal.